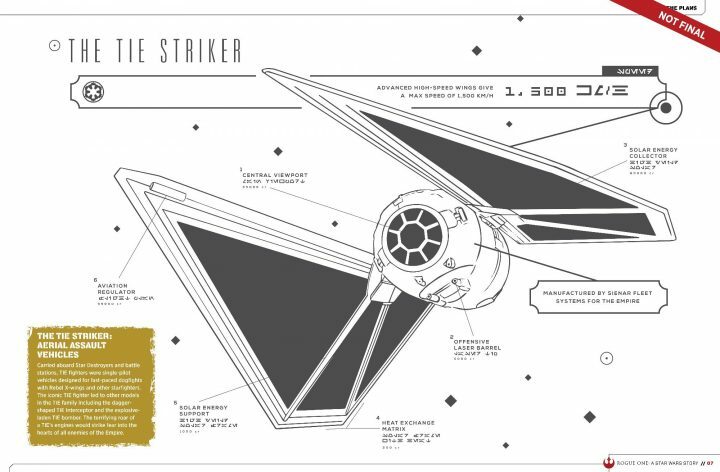 The creative process of any new Star Wars project has always been shrouded in mystery; part of the lore is building the expectation and excitement for some of the most demanding fans on the planet. 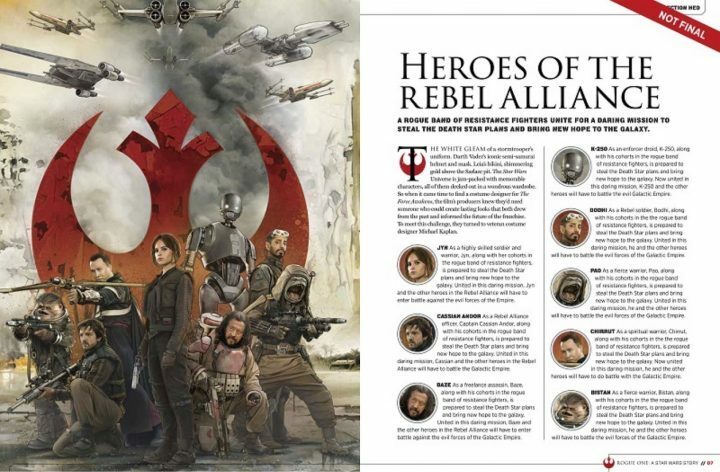 However details of the upcoming Rogue One A Star Wars Story are being previewed months in advance as part of the official Visual Story Guide by Media Lab Books which is being set for release on 24th January 2017 which is ready for pre-order here. 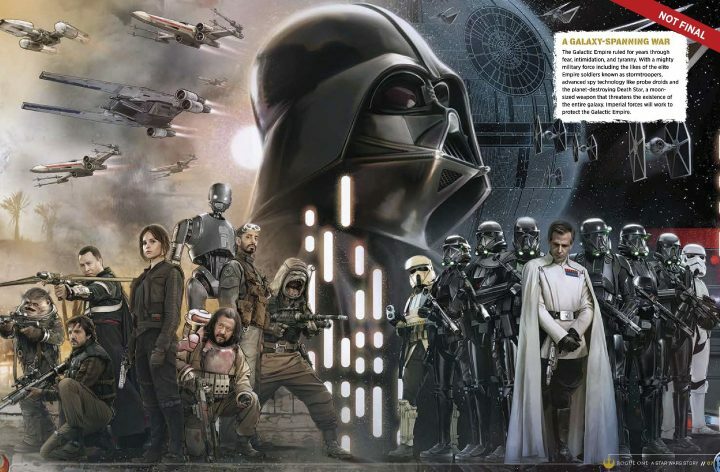 The images offer a tantalising look at the visual look of the movie which takes place in-between Revenge of the Sith and A New Hope evoking nostalgia stirring design nods to the original movies that we all know and love with some interesting modifications and never before seen on screen additions. The book lists the main protags and gives a brief synopsis of their role in the plot. “Felicity Jones plays Jyn Erso, a highly skilled soldier and warrior. Alan Tudyk plays K-250, an enforcer droid. Uknown plays Pao, an alien who is described as a “fierce warrior”. Another CGI character. 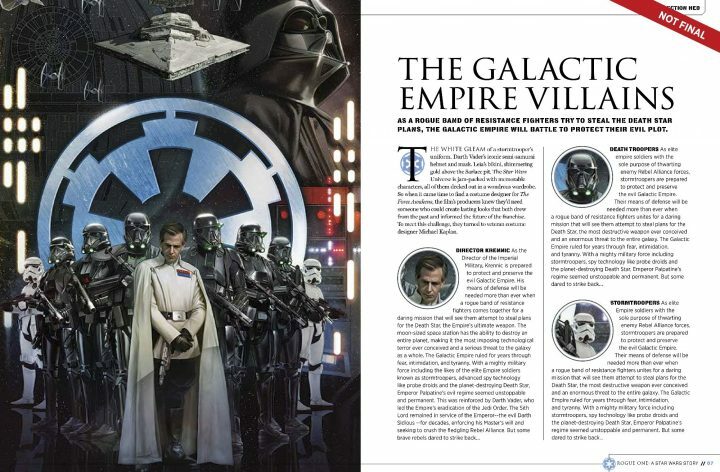 The main villain is Director Krennic (Ben Mendelson) who appears to be a high ranking military official for the Empire. His appearance evokes other powerful Imperials such as Grand Moff Tarkin and Admrial Thrawn from the now defunct Expanded Universe. 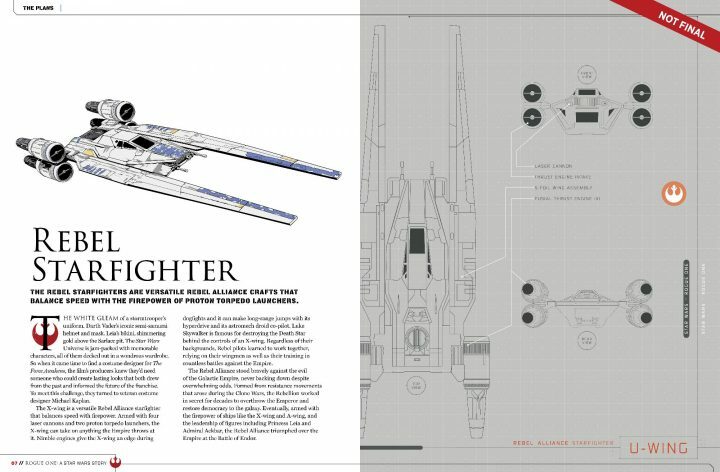 Aside from the familiar TIE Fighters and X Wings Rouge One is introducing two new spacecraft on both sides; the Imperial TIE Striker and the Rebel U-Wing. 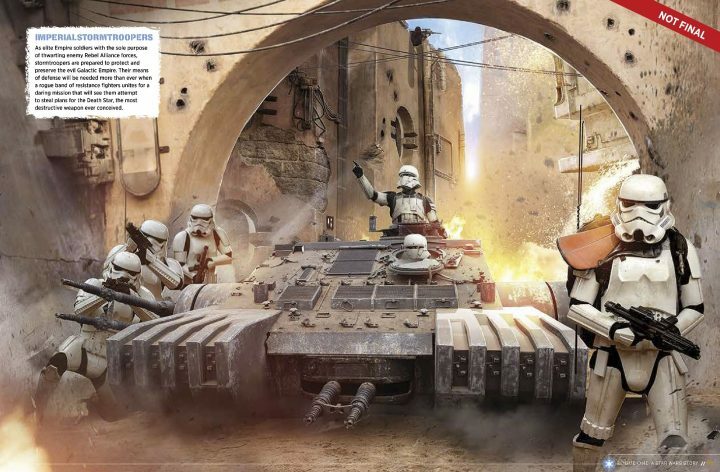 As well as the iconic AT-AT’s, Stormtroopers now have a Hovertank to protect them from their enemies who have better aim than them. 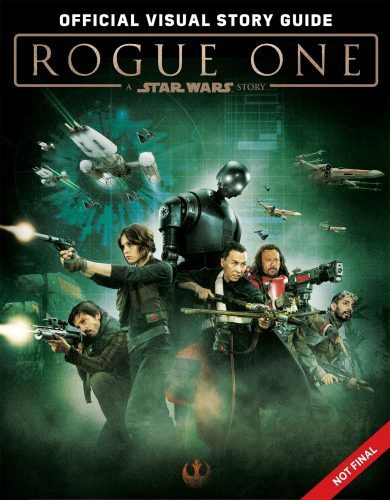 Rogue One: A Star Wars Story will be released in cinemas on 16th December 2016.